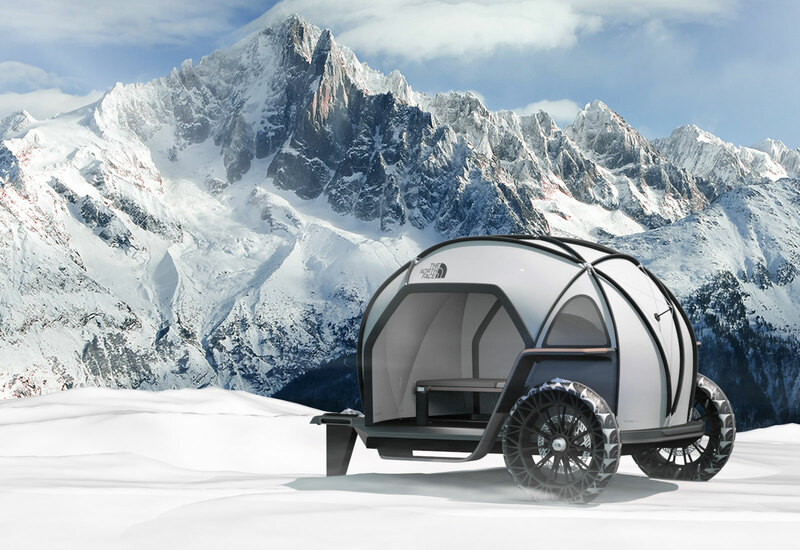 During the recent 2019 CES Consumer Electronics Show in Las Vegas, Designworks, a subsidiary of BMW Group unveiled a new camper concept and virtual reality experience, in partnership with The North Face, to imagine the future of protection from the elements. The FUTURELIGHT camper was inspired by the 2008 BMW GINA Light Visionary Model concept car. 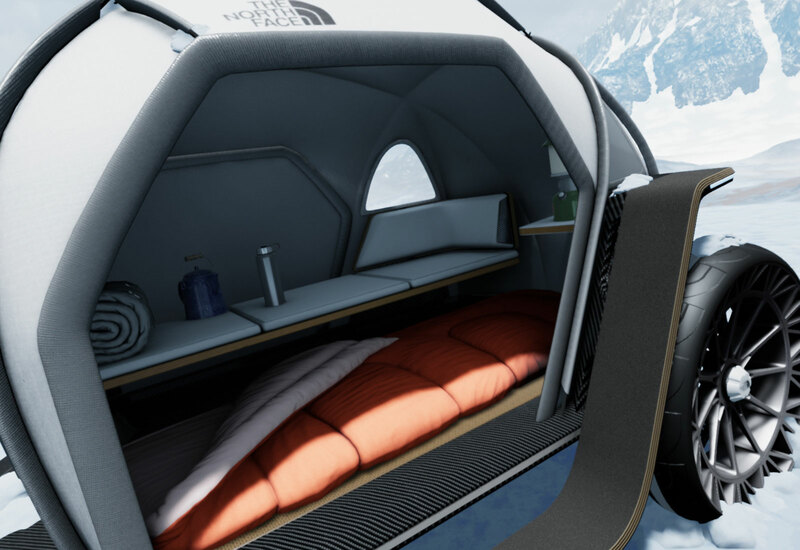 Like the GINA Concept, the FUTURELIGHT™ Camper is made of an outer fabric shell, consisting of a flexible material stretched over an iconic geodesic dome to demonstrate the potential uses of FUTURELIGHT™ fabric beyond just apparel. The revolutionary Nanospinning process used to create FUTURELIGHT™ has allowed The North Face designers to add air permeability into the membrane of a fabric for the first time. The process creates nano-sized holes, allowing for incredible porosity while still maintaining total waterproofness, letting air move through the material and provide more venting than ever before. 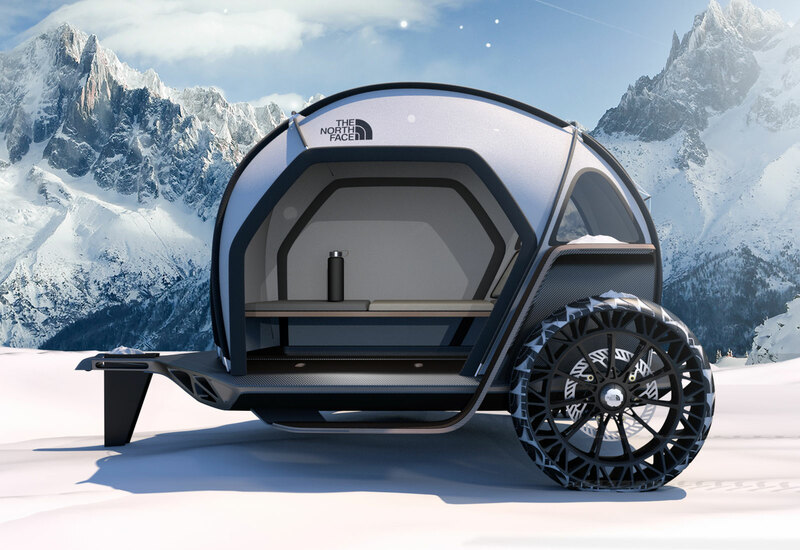 The FUTURELIGHT™ Camper will first become available to consumers in The North Face Fall 2019 product line and will be featured across the brand’s pinnacle performance collections.